Happy Mother's Day! Today, i have 2 new accessories from Riviere Accessories. This is not the first time i'm working with them. I'm really excited to share with you my picks for this advertorial!! I'm wearing WHITE ENCHANTRESS which matches my tweed jacket so well. Completely obsessed with necklaces like this. 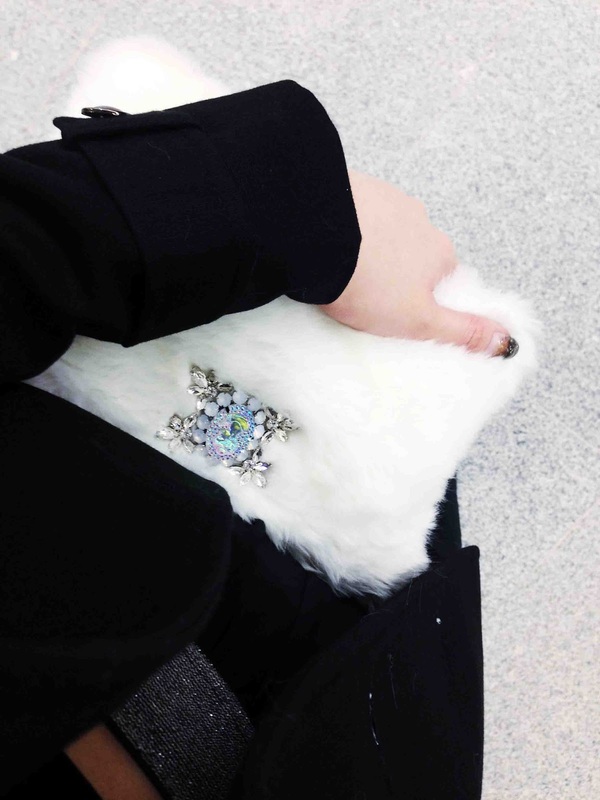 I decided to carry this VICTORIA FUR POUCHETTE to my friend's wedding for a edgy glamour look. They just look so luxe together! If you have yet to buy something for your mom, do check out their new arrival section. Quote my name "REIEE20" for 20% off! Follow the on Facebook and Instagram for latest updates.